Are you looking forward to the new year? Planning activities, adventures, events, and things to do that will be fun and memorable? 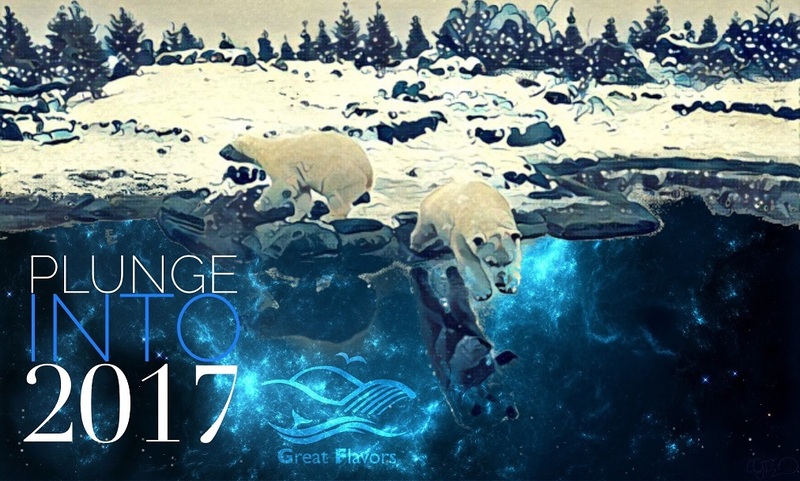 Here’s just the thing to kick off 2017 in high spirits: a polar plunge on New Year’s Day. We know we’re lucky to live on the Central Coast, and here’s another reason. There are not one, not two, but THREE polar bear plunges to choose from! And not plunges in some random half-frozen lake or stream, but in the Pacific freakin’ ocean! Take your pick from polar plunges in Avila, Cayucos, and Pismo Beach. The Flavor Team will be there. Join us and let’s jump in to the new year with both feet! Pismo Beach: first annual Pismo Pier2Plunge 5K run/walk and kids’ fun walk. The run/walk starts at 9:45 at the pier, and ends with a polar plunge. Sign up at www.runsignup.com. The polar plunge is just one of the great things to do on the Central Coast in 2017. What’s on your full-flavored list to experience in the coming year? We’d love to hear your ideas. Please share with us at engage@gr8flavors.com. Join the Great Flavors community and let’s get rolling to make this our best year yet!